I love checking out new hotels. Especially when I travel for work. It’s the perfect moment to enjoy, after a long intens day, the hotel to the fullest. The Volkshotel has a rich, creative history. When the Dutch newspaper De Volkskrant moved out in 2007, the building was transformed into a creative breeding hub, called ‚Broedplaats’. 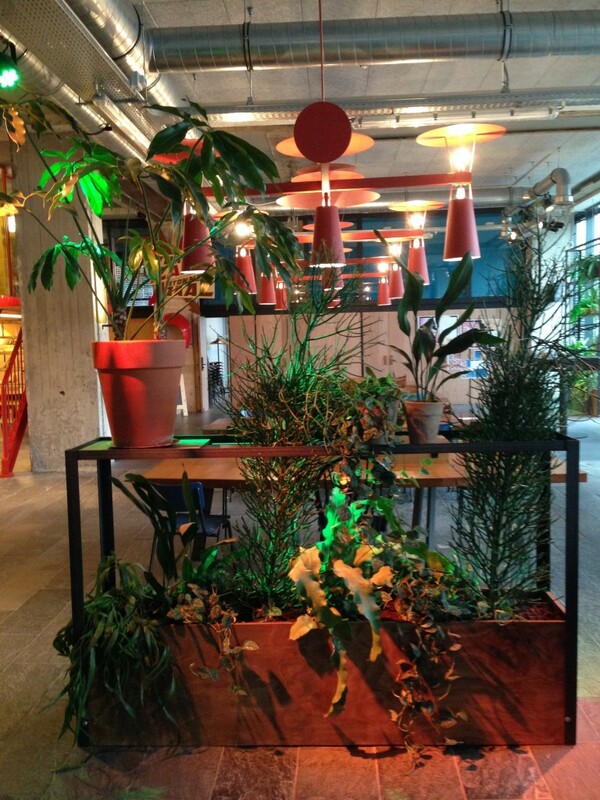 Architects, dj’s and copywriters found their home in one of the 180 co-working spaces. 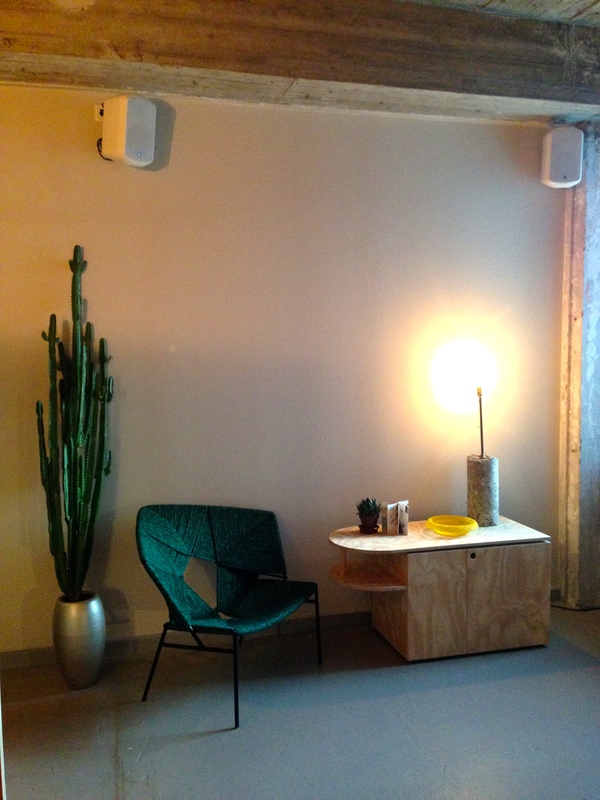 Since Volkshotel opened it’s doors in ‚Broedplaats’ stayed and creative locals blend in with adventurous tourists. 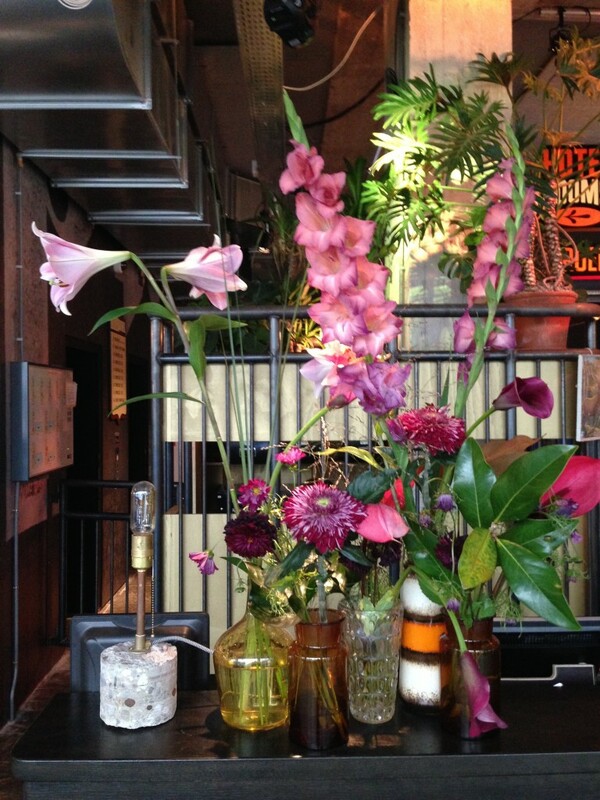 When you enter the vibrant and very busy lobby, you feel straight away the creative energy. People waiting for a taxi, young Amsterdam arriving by bike, creative meetings with latte and some home made muffins….This is not a luxury retreat but a cool meeting spot to work, eat, sleep and party! As the hotel just opened it’s doors, things don’t go as smooth as they should, but hey, the staff is very helpful and friendly, so it’s soon forgotten. I got one of the ‚special’ designed theme rooms. My room was situated on the 5 th floor, in a hallway not open for guests! 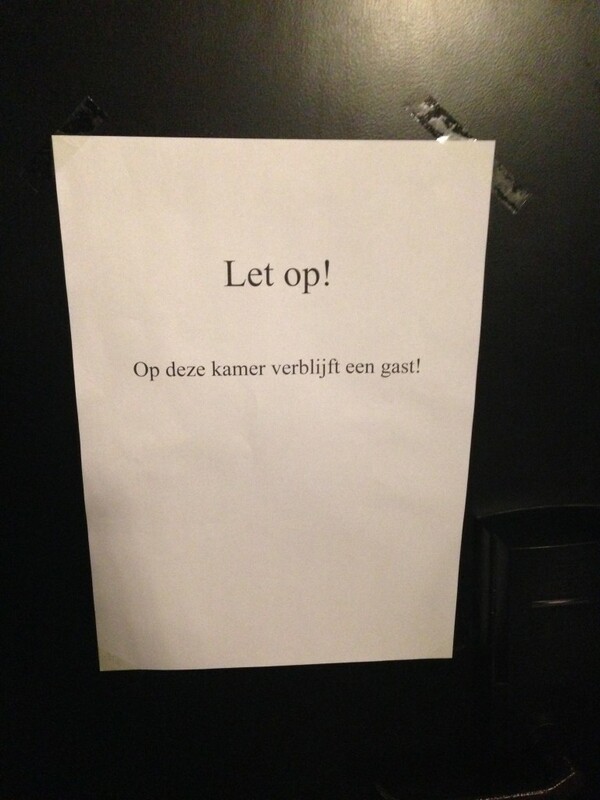 On my door I found the fun message „ Warning: in this rooms stays a guest”. Message to the builders, still constructing last details in these rooms. I never noticed any noise. Thanks guys! The staff promised me a big Japan inspired room and I wasn’t disappointed! What a fabulous room! 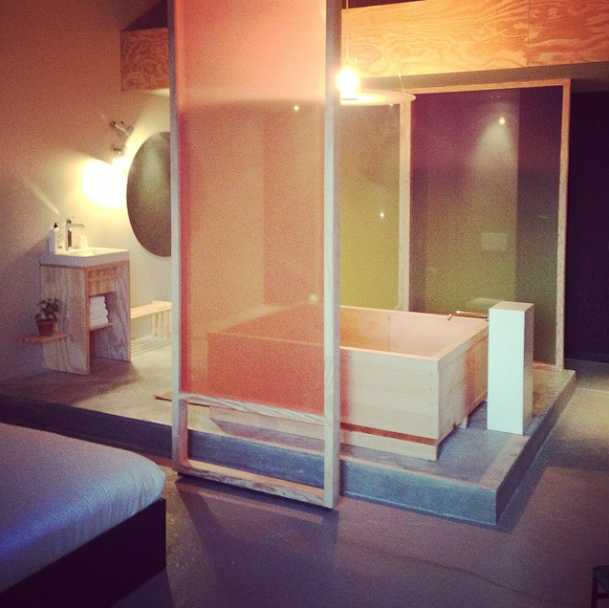 The first thing I saw was an enormous wooden bath in the middle of the 45 M2 loft space! This one I had to try out! A firm, basic wooden bed, no frills but with delicious crispy white, soft sheets and a top matras, not too soft, not too hard. As I like it, so I had a great two nights sleep. The gigantic bath was really heaven ( I could lie down head to toe in diagonal position :-)), and guys, did I mention the gigantic projected TV screen on the wall, so you could watch in the bed and in the bath? 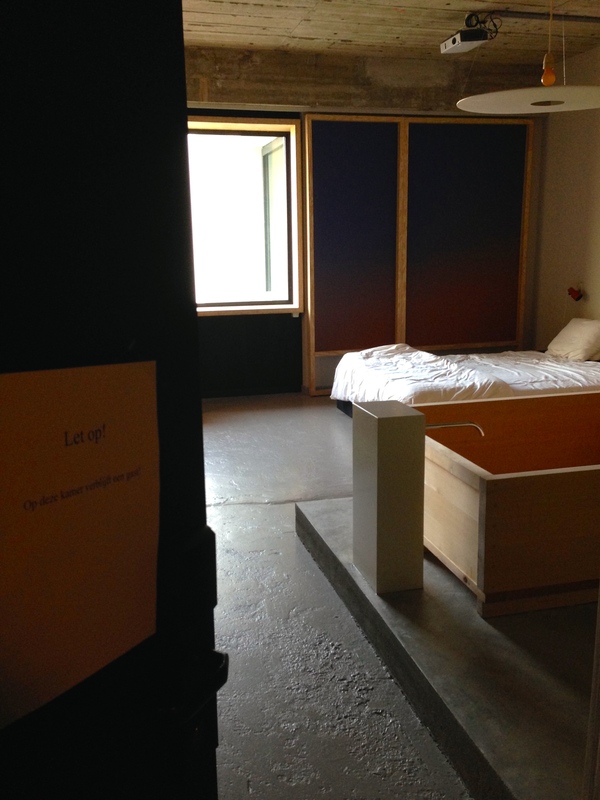 This is how a budget hotel should be: surprising, not standard, creative use of materials and some luxury features in a basic but well designed environment. 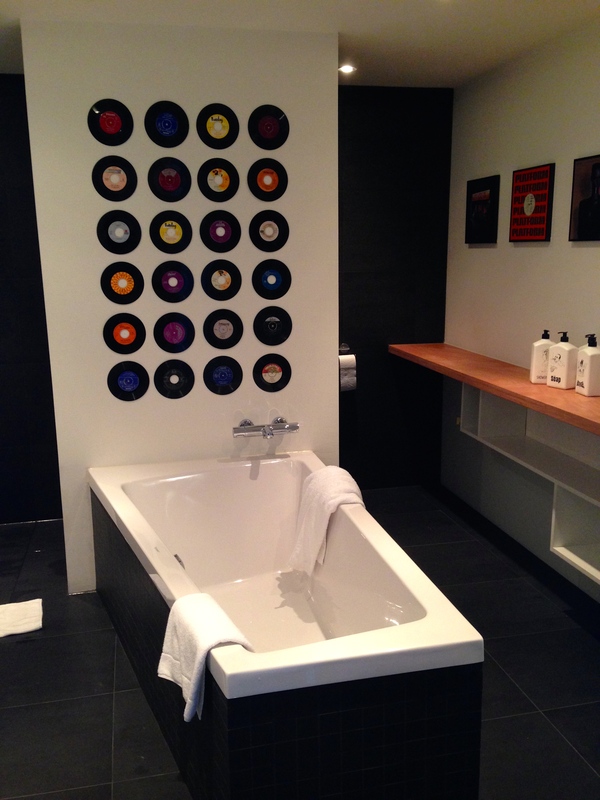 I took a quick look into some other themed rooms: a dj inspired chill out, with rockstar bed, loads of vinyl and a bathroom filled with icons of rock & pop history. 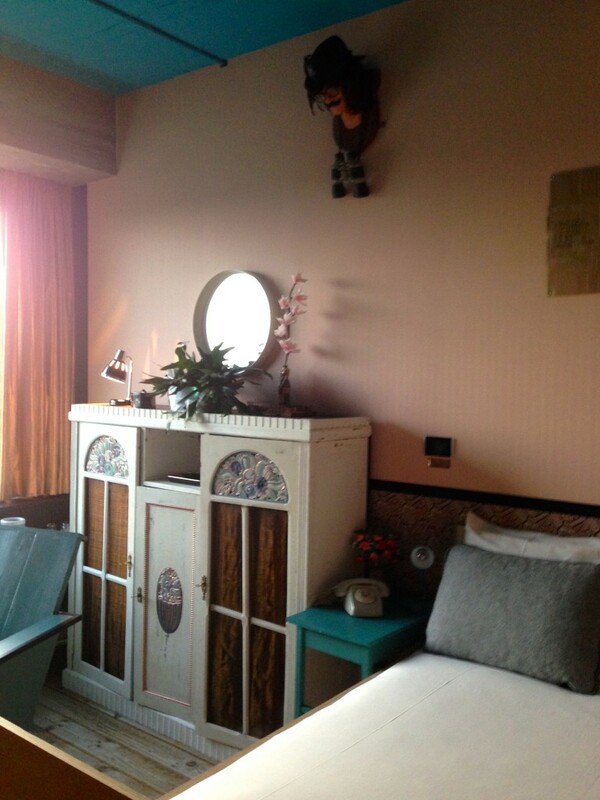 Or the vintage ‚granny room’ with a huge deer overlooking the bed, old revamped closets and kitch ornaments. 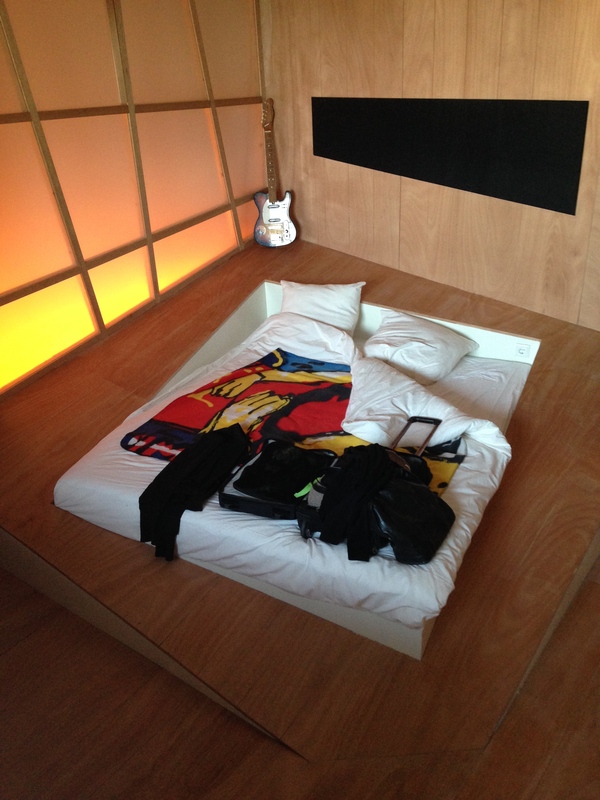 The Volkshotel has 172 standard rooms from small (12m2) to big (45m2). The wifi works and is free, as it should be. You can sweat out your hangover in the sauna, hang out till your fingers shrivel in the hot tubs, get moulded with a massage and all with a view over the city. 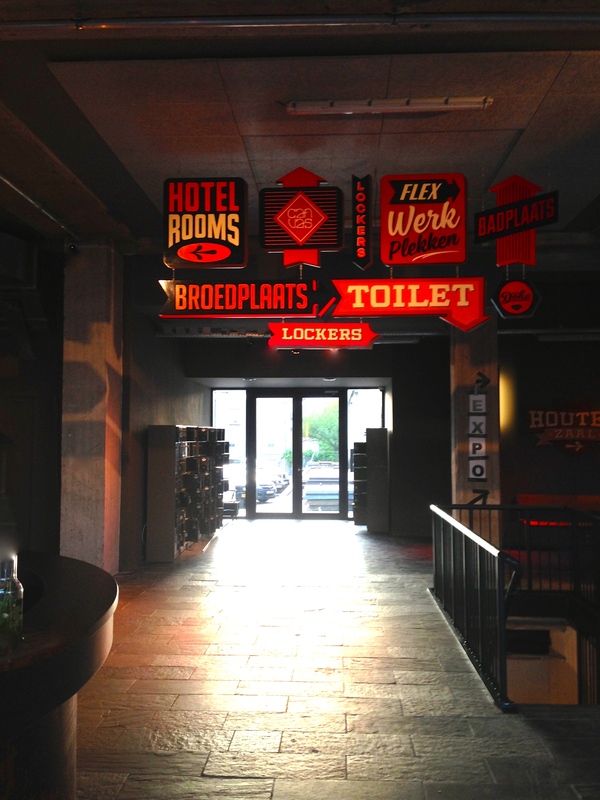 Hotel guests, desk renters and Broedplaats nesters – all are welcome. Open daily 09.00-21.00hr. Good to know: closed for cleaning on Monday en Friday afternoon. As they say themselves: nothing in this hotel is standard, not even the standard rooms. 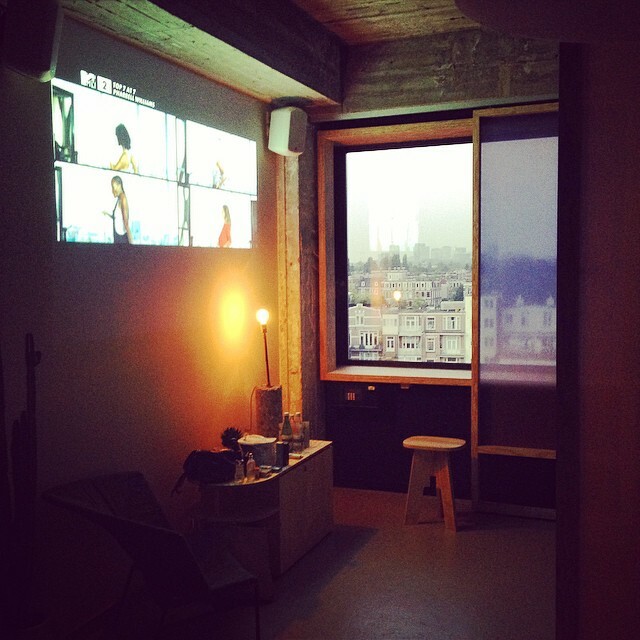 From cosy hideouts to huge hangouts but always with a view on Amsterdam. 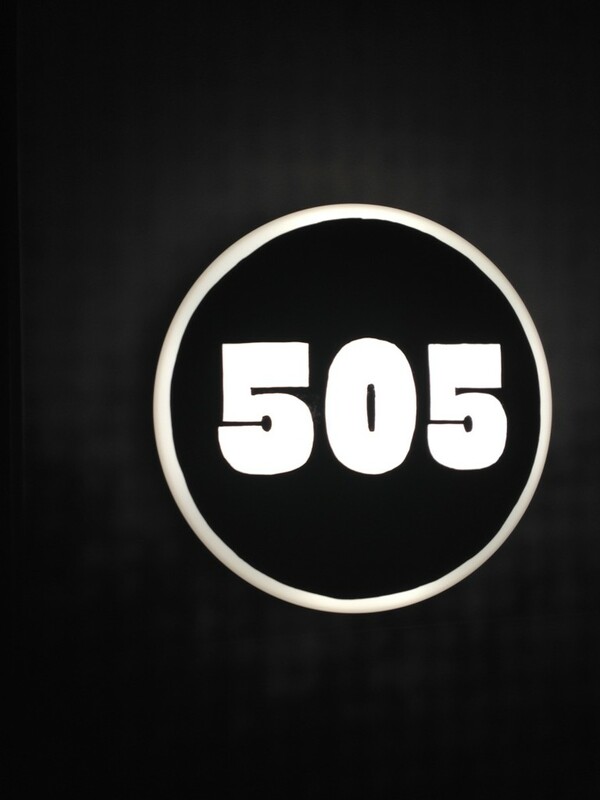 Try to get one of the nine special rooms, and keep in mind: room 505 is the one with the lovely wooden bath tub. 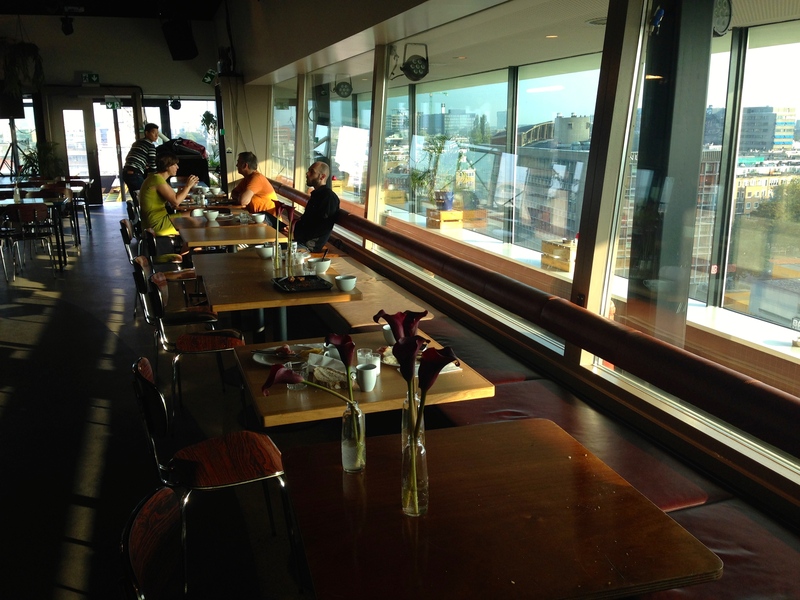 In the old Volkskrant canteen on the rooftop floor, you can party at night (360° window and an ab fab terrace view on Amsterdam) and have breakfast in the morning. Breakfast is nice but simple. 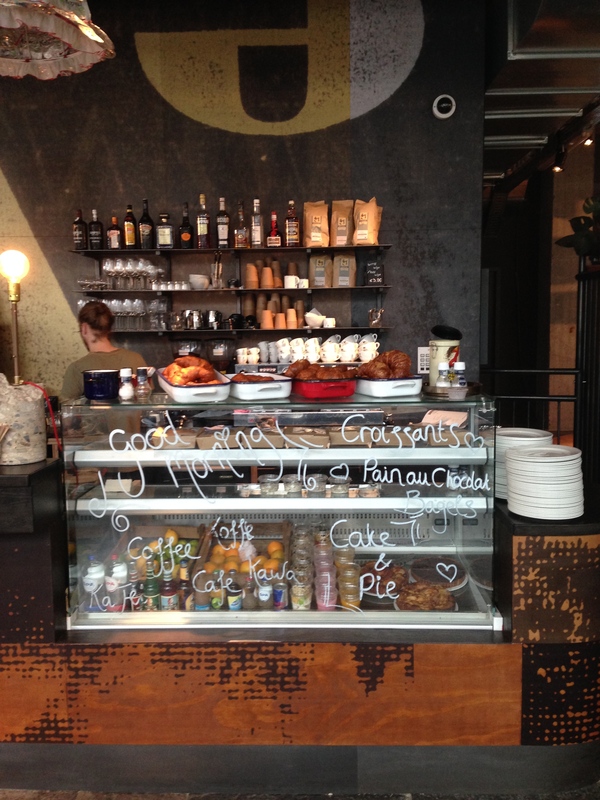 The buffet is placed on the bar, there is fresh fruit, yogurt, cereals, eggs and bread. Het Volkshotel is located in East Amsterdam, next to the lively neighborhood of De Pijp, the markets on Waterloo Square and in front of ‘Wibautstraat’ subway station. The neighborhood used to be called ‚The Stalinallee’, as 3 big newspapers ( Volkskrant, Parool and Trouw) used to dominate the street from 1965 on with their massive buildings. 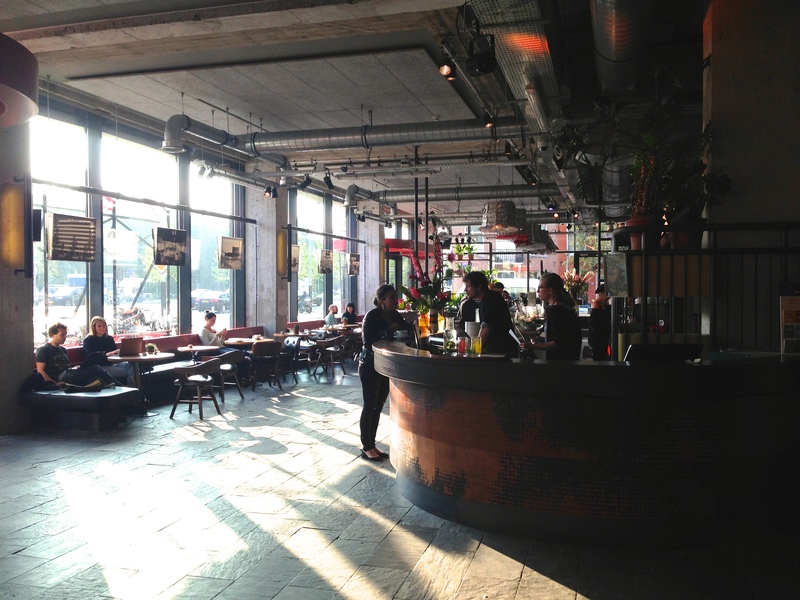 Today East Amsterdam is an upcoming area with new hip restaurants, cool shops, trendy coffee bars and a must-stay hotel.